We got the news earlier this month that Wolf Hall, with 6 nominations, leads the pack for BAFTA TV Craft Awards. When the winners are announced on April 24, we’ll be tuning in to see this once-in-a-lifetime production hopefully win for some, if not all, of these categories for which it has been nominated. Today we learn the remainder of the nominations for Wolf Hall for the BAFTA TV Awards. 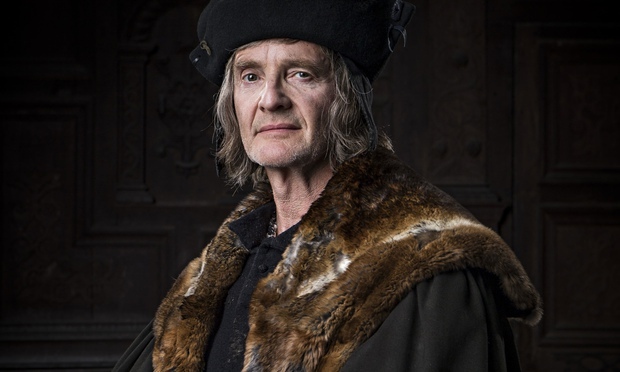 And the supporting actor nod goes to Anton Lesser, for the role of Thomas More. No use hiding it, we are disappointed that Damian didn’t get the recognition he deserved for his character-defining depiction of Henry VIII. Nonetheless, we wish the entire team of Wolf Hall all the luck imaginable in sweeping all the categories for which they have been nominated! If you’ve happened to miss the series, get thee to a library tout de suite to borrow the DVD set, or, better yet, purchase the set. I am angry, and it does not surprise me, Damian has never won in England, there’s the american, who gave him the rewards he deserves! It is very difficult to understand because he is wonderful in the role of Henry, who was better than him? In america, he was nominated, not in England!Why? Do you think it pains Damian? I am not angry but I am a little bit surprised. It’s interesting that America rewards Damian’s talent more than his home country. But I am glad Wolf Hall is getting the recognition that it deserves. Having said all this, I am old enough to know that awards shows are all glorious and great but at the end of the day there are a lot of factors getting into the calculation. Some objective and some subjective. No one can get Damian’s brilliant performance in Wolf Hall away from him so it’s all good in the end! Damian not nominated for his Henry VIII? I am, as they say, gobsmacked. No, he is not. They go for Anton Lesser (Thomas More). Well, Lesser owns Episode 4, I give him that but they could have nominated both. Damian is really amazing as Henry VIII — he storms it. He RULES!!!! (literally and figuratively). 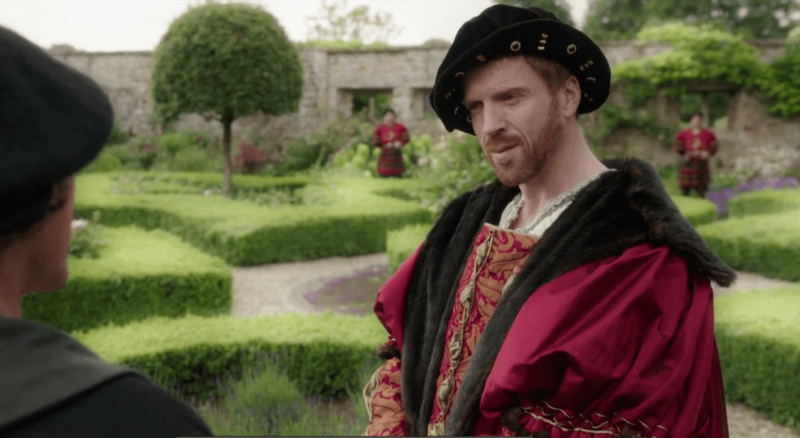 Wolf Hall was one of the best things on television this year. The cast was brilliant, and everything from the writing, sets, and costumes was on point (I’m a Tudor nerd). How they could over look DL as Henry, is beyond me. However, it doesn’t surprise me. I rarely understand why certain movies, shows, actors, get nominated or overlooked. As an example, Peter Capaldi (who plays the Doctor in Doctor Who) did an episode this season where he was the ONLY actor in the show (known as a “one-hander”). He absolutely KILLED it, but alas, no recognition for it. And I agree with you on Anton Lesser. His Thomas More was brilliant, but let’s face it, the whole series is about the mood swings of Henry and how things play out from there. I’m still shaking my head! Wolf Hall may well be my all-time favorite book and Damian Lewis being cast as Henry VIII was a dream coming true for me!!! They first planned to shoot it in Brugge, Belgium; after the cast is announced, BBC opened the purse and they used all these wonderful historical buildings in England. It is one of the best things that ever happened to TV for me. I am a bit surprised since I thought both Anton Lesser (I was expecting him to be nominated) and Damian Lewis could be nominated together. Having said that, research reveals nomination process is rather interesting that a really small set of people is making the decisions – not like the Emmys where all members are voting. Again I believe Lesser is amazing and truly deserves the nomination but so does Damian! I hope this is not too much trouble to Damian! Already in Forsite saga, where he played a fabulous Soames, he has not won a Bafta !! I can not understand !!! And I am sorry for Damian! He still has his Golden Globe and his “Emma”. Absolutely. But, of course, it does not hurt if he adds a couple more… “Emma” is the evening I met him for the first time. On TV. I was rooting for Jon Hamm and asked: “Who the hell is Damian Lewis?” Well, the rest is history. But a Bafta is so deserved, fortunately, there was a recognition of his country, with, I believe, the key to the city of London, and a Reward, given by Prince William!